Bob has been in the financial services industry for over 31 years. He started in the industry with E. F. Hutton in 1984 as the top advisor in his training class. He continued to work for the predecessor firms of Shearson Lehman Brothers, Smith Barney, and Morgan Stanley Smith Barney before joining KB Elliott in April 2010. Bob has his series 7 (General Securities), 63 (Uniform Securities Agent State Law), and 65 (Uniform Investment Adviser Law) FINRA registrations. 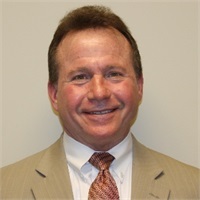 Bob is a Registered Representative with Kestra Investment Services, LLC and an Investment Advisor Representative with Kestra Advisory Services, LLC. Bob is a lifelong resident of Morton, IL. He has been very active in the Morton Junior Football League as a past board member, and has coached football for over 10 years. He is on the board of the Morton High School Sooie Club. He has been active with Morton Youth Baseball, and Peoria Youth Hockey. Bob supports the St. Jude Foundation, and has participated in, and completed the annual Memphis to Peoria Run. He and his family attend Harvest Bible Chapel in East Peoria, IL. Bob and his wife Nikki are recent newlyweds (August 9, 2014). Bob has three sons. Ryan is currently in the Illinois Air National Guard, coaching football for Morton High School, and is pursuing his bachelor’s degree. Blake is in the U.S. Army and is stationed at Fort Riley Kansas. Brett lives in Morton and is attending Illinois Central College.